The Ireland international could be playing League One football next season, after Wigan suffered another bad loss. 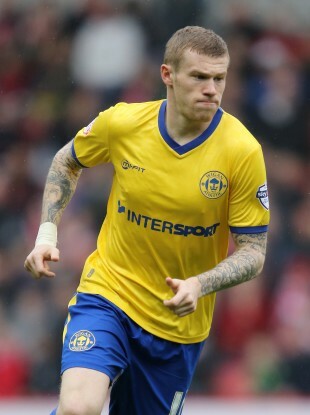 James McClean featured as Wigan were beaten 2-0 by Millwall last night. IRELAND INTERNATIONAL JAMES McClean was the subject of home fans’ boos as Millwall beat Wigan 2-0 in the Championship last night, amid a hot-tempered encounter that saw three players sent off. It is not the first time McClean has been singled out by opposition fans, after he outlined his reasons for refusing to wear a poppy last November. However, the Ireland international sought to respond publicly to this abuse after last night’s disappointment. The defeat left Wigan seven points from safety and all but relegated with three games to play, meaning the winger may have to be content with League One football next season. Email “'My missus gives me a harder time' - James McClean mocks Millwall boo boys”. Feedback on “'My missus gives me a harder time' - James McClean mocks Millwall boo boys”.